Get Your Digital Marketing Ready for 2018 with GA Tips for HTTPS Migration, the Latest on Marketing in the Age of Artificial Intelligence, and More! New Year, New You…New Marketing Strategy? Ask the Expert: What should I keep in mind (regarding Google Analytics) when migrating my website to a secure HTTPS version? Advance Your Online Marketing Strategy with MoreVisibility’s Unique Approach, SEM Tactics, and More! Voice Search: How Can Alexa Fit Into Your Business? 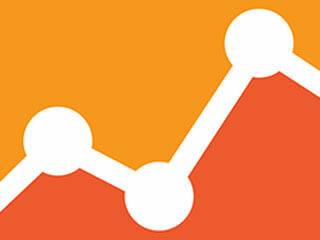 Ask the Expert: How Do I Use the Site Speed Reports in Google Analytics? Ask the Expert: What are Facebook Lead ads, and how can they be useful to businesses for lead generation? Reenergize your Digital Marketing with Cross Domain Tracking, A/B Testing & Google My Business just in time for the Fall. Announcing MoreVisibility’s Brand New Eye on Digital Marketing Podcast, Tips for Display Ads, and Improving Your Audience Targeting in AdWords & Facebook! Google Has Moved Past Britney Spears... Has Your Digital Marketing Strategy? Ask the Expert: How do I align my digital marketing objectives with the right display advertising strategy? Sizzling Summer Tips for Digital Event Promotion, SEO, PPC, and LinkedIn Strategies! Ask the Expert: What is artificial intelligence and why, as a marketer, should I pay attention to it? Google Data Studio, Snapchat, What’s a lead worth? And more! Snapchat: To SnapMap or Not? Ask the Expert: I'm running search advertising to generate leads. Is it better to optimize my campaigns based on the volume of leads received or cost-per-lead? I want to be careful about paying too much for a lead. KPI, ROI . . . Oh My! Ask the Expert: What are some Items I should consider when conducting an A/B test? Ask the Expert: There have been so many updates in Google (for advertising), I'm not sure what to focus on first. What should I do? Ask the Expert: Should I make SEO a higher priority within my organization, or can it wait? What’s On Your Woulda Coulda Shoulda List? Ask the Expert: Do you have any suggestions for creating an optimal keyword strategy for SEO? Get valuable tips to improve data intelligence and Google Analytics usage, plus gain insight into B2B email marketing and informative data collected from top marketers. What information is good to share between SEO & SEM Strategies? Ask the Expert: What information is good to share between SEO & SEM Strategies?